The tree removal and trimming is complete! 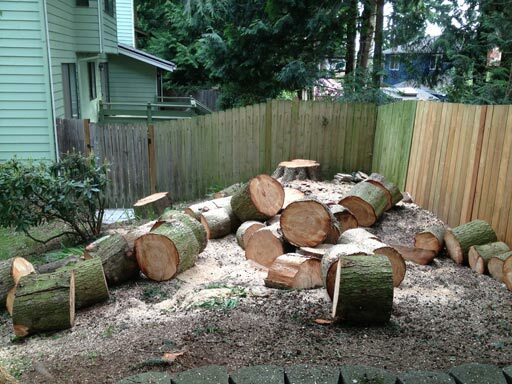 Only one thing didn’t go as hoped: the company that cut the tree down doesn’t actually remove the pieces. Oops. I didn’t even think to ask about this when we were getting the estimate. After all, who wants this in their yard? 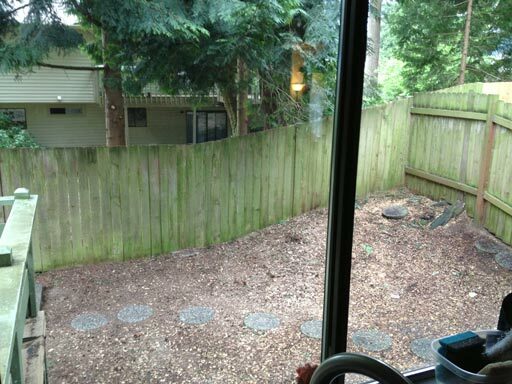 Anyway, here’s the backyard, which is no longer crowded by neighbor trees. We liked the cave-like atmosphere, but we want to take a first whack at installing some legitimate landscaping back here. 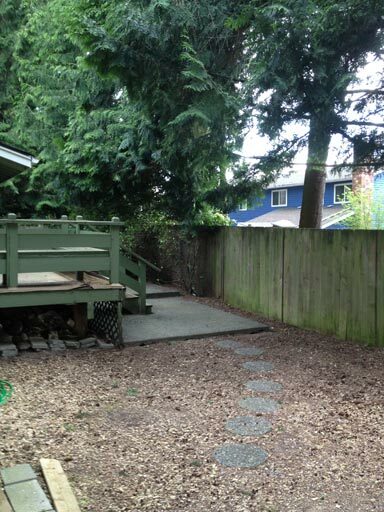 The backyard’s basically blank canvas now. Unfortunately, I have neither the design talent nor the money for anything sophisticated. We’re going to plant some aborvitaes a few feet off the fence and see where that takes us. Onwards to weekend! Where we will purchase plants and put them in the ground!